And finally we saw some cactus in bloom. 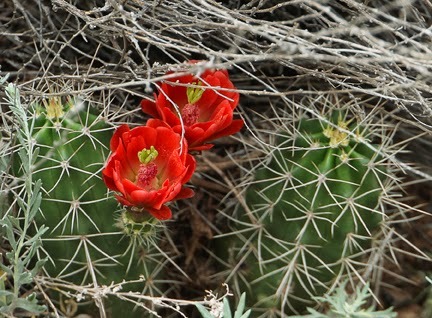 This is the bright red claret cup. Some of the cactus were loaded with closed buds so there's more to come. But watch out for those pointy spines!